Image courtesy of Left to right: Cotton Candy, Lemon Bar, Caramel Cocoa Cluster, Cinnamon Roll, Cupcake and Red Velvet. Left to right: Cotton Candy, Lemon Bar, Caramel Cocoa Cluster, Cinnamon Roll, Cupcake and Red Velvet. Apparently fans are flavored like sugar: Red Velvet Cake, Cotton Candy, Cinnamon Roll, Lemon Bar, Caramel Cocoa Cluster and Cupcake are joining the menu in an effort to compete as the temperature rises. 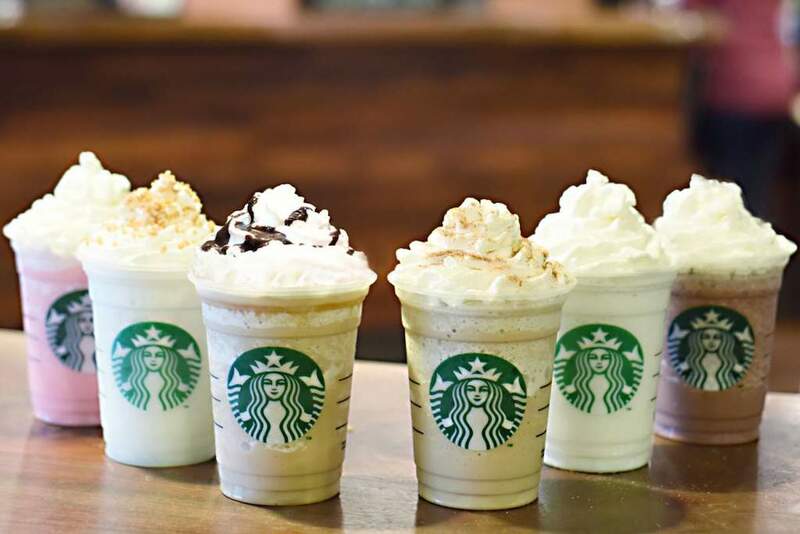 A few of those flavors will be familiar to customers with sweet teeth, as they’re actually just new names for old frappuccino orders. For example, the Cotton Candy drink is actually a vanilla bean creme frappuccino with raspberry syrup added, and the Cupcake flavor adds hazelnut syrup to that same base frappuccino. For those bravely standing in the path of these calorie-bombs, intent on ingesting up to 510 calories per grande serving, it’ll cost you $4.75. Customers can then vote online from June 19-30 to choose their favorite newcomer, with the winner selling at a discounted price of $3 for a grande on July 3-6, between certain hours. Next Does Booking Direct With The Airline Actually Offer You The Lowest Price? Next Up: Does Booking Direct With The Airline Actually Offer You The Lowest Price?